Big-ticket property deals are becoming a norm in Dubai, the city known as the sought-after residence destination of the world’s super rich, if the transactions over April-May are any indication. Dubai has witnessed transactions of several super luxury villas and apartment with price for a 25,812 sqft villa in Emirates Hills fetching Dh90 million in May. While villas in Emirates Hills remained the top choice for the super rich, Palm Jumeirah was close behind with a 7,762 sqft villa selling for Dh84.2 million in April, according to the estate agency Luxhabitat. In apartments category, most priced transactions were recorded in Dubai Marina, Palm Jumeirah and Culture Village during the second quarter. The most expensive apartment transaction was for a Dubai Marina property measuring 14,349 square feet for almost Dh30 million. 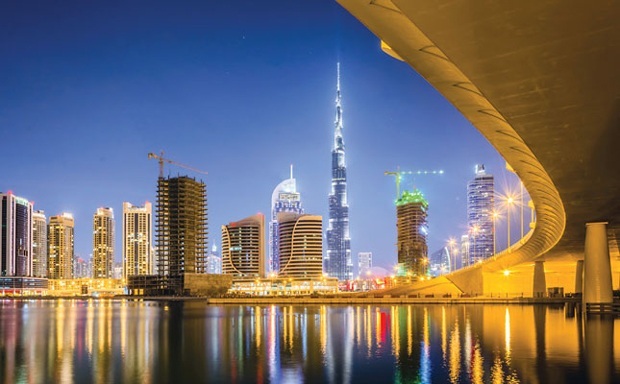 On analysis of data by Reidin, Luxhabitat, a high-end real estate company focused on marketing, selling and designing high-end real estate properties in the region, said Dubai’s secondary prime residential market saw an upturn in second quarter due to an increase in transaction volume by four per cent in comparison to first quarter. According to Luxhabitat, the prime residential market is composed of properties that lie on the high end spectrum of the Dubai residential market. Luxhabitat recognises 12 key areas that form part of this classification; the areas are Al Barari, Arabian Ranches, Downtown Dubai, Dubai Marina, Emirates Hills, Jumeirah, Jumeirah Beach Residence, Jumeirah Golf Estates, Jumeirah Islands, Jumeirah Lakes Towers, Palm Jumeirah, The Lakes, Springs and Meadows, & Victory Heights. “Overall, we are seeing a flattening of price evolution. As of second quarter, the price/sqft for prime residences are Dh1,482 per sqft,” said Jason Hayes, managing director of Luxhabitat. The prices are at similar levels as of fourth quarter 2015. An upward trend was observed from third quarter in 2016 and since then, the prices are steadily rising. The total volume of transactions in second quarter 2017 was Dh3.6 billion. “There seems to be an increase in interest for buying villas in these prime areas; there was a seven per cent increase in volume of transactions per villa from the previous quarter,” said Hayes. Almost 62 per cent of the total volume of transactions in second quarter were for apartments, with the Palm Jumeirah transacting approximately Dh771 million, followed by Dubai Marina (Dh667 million) and Downtown Dubai (D 340 million). “I am delighted with second quarter results that clearly reflect the ongoing positivity and confidence in the market,” said Hayes.